Coffee culture is a big deal these days, and our wide range of café furniture is just what you need to embrace it. As coffee shops have evolved, so has the furniture that populates them. 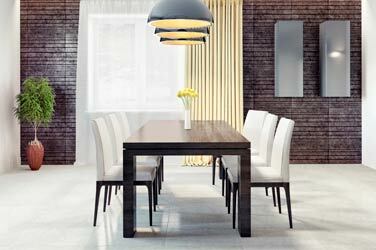 Dining chairs, low stools and bar tables all create an atmosphere that’s comfy and functional. The best establishments retain a relaxing homely, living room-type feel, while still remaining stylish and modern. Get the look with our stylish range of café furniture. 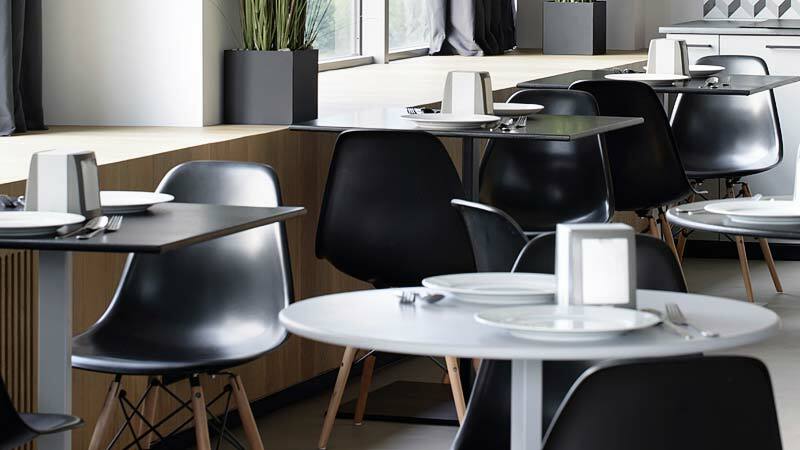 Plenty of contemporary cafés now incorporate a bar area, meaning they’ll need a set of great commercial bar stools. Furnish your café for casual socialising with low stools, perfect for creating a relaxed, welcoming atmosphere. 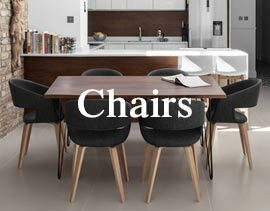 Stylish dining chairs that are perfectly suited to cafés, helping to create your business’s overall look. Our bar tables create an easy-going environment that’s perfect for a quick coffee and a catch up with friends. 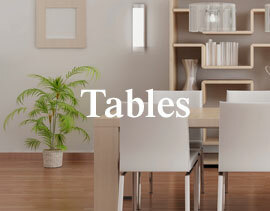 A range of stylish dining tables, perfect for creating a homely space that your customers can really enjoy. Make sure your customers can relax by creating a comfy seating area with our fun and funky retro chair designs. Contemporary cafés can take on many different guises and most establishments showcase a wide number of artistic influences. 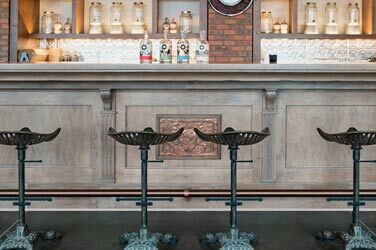 A large number of businesses combine the continental cool of a bistro with the comparatively casual feel of a traditional English café, producing an inviting hybrid. Indeed, the modern day café often takes the form of a coffee shop. Many coffee chains are defined by a strong visual brand identity, with certain colours denoting the presence of a specific company. If you’re buying for a number of outlets, you will most likely be looking to establish a consistent trademark look. 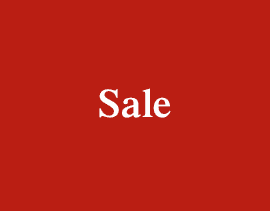 Our large stocks and quick service enable us to easily fulfil bulk orders, so please don’t hesitate to contact us if you’re looking to furnish multiple branches on a national - or even international - scale. Of course, a strong look is similarly important for independent, boutique-like establishments, where drawing customers away from the lure of the high street is essential. Further to this, the duration of time spent in a café can vary hugely. While some patrons prefer to wile away the hours in the manner of a patron of a French bistro, others will pop in for a quick coffee before returning to work. This is reflected in the menu choices of many businesses, where paninis and bruschetta are offered alongside lattes-to-go and suchlike. The success of a café depends on how well it conveys a sense of this, and this is where your choice of furniture can make all the difference. Crucially, café clientele is not age-defined, with these establishments drawing customers from all walks of life. Once the domain of the afternoon shopper, they’re now favoured by everybody from mums and daughters to freelancers and students. Indeed, in recent years, the latter have emerged as coffee shop connoisseurs; a distinction which has only been boosted by the exclusive promotions a number of different businesses offer to the university crowd. For this demographic, a good modern coffee shop represents a great space where it is possible to work and play at the same time. 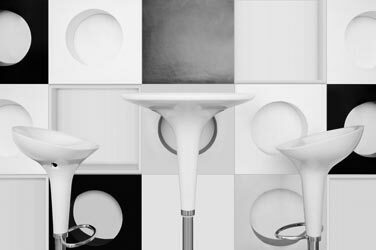 Low stools are perfect for the students, both in terms of their look and their functionality. The likes of our pouffes can accommodate larger groups as they can be purchased in bulk and spread across the room for a cool and contemporary aesthetic. 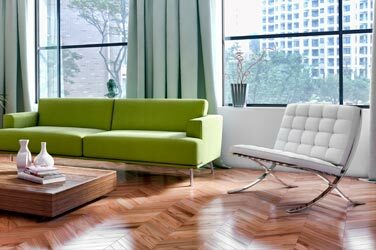 Low stools are also easy to clean, particularly when compared to classic sofas, with the latter being far more likely to seal in stains and liquids. 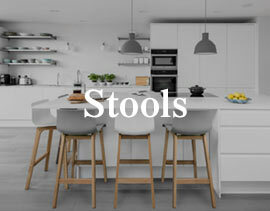 It isn’t just our stools that are easy to wipe, however. 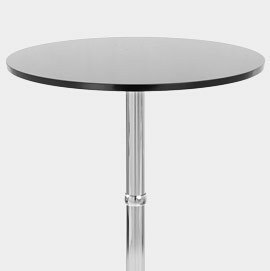 Many of our bar tables boast durable and stain-resilient surfaces which can deflect spillages with ease. This level of practicality is invaluable in a commercial environment, which is why we’re proud to supply our clients. Further to this, it is significant that the bar area in a café tends to differ from that of a pub or club. Instead of facing the baristas, the bar is often placed adjacent to the window, facing out towards the street. 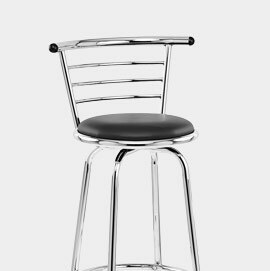 Bar stools are often used to accommodate solo patrons, who may prefer to sip on a coffee as they read or work in peace and solitude. 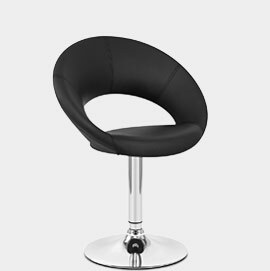 Our extensive range encompasses backless designs alongside the likes of classic faux leather bar stools, making it easy for you to blend comfort with a recognisable look. A café is one of those rare spaces where it truly is possible to unite patrons of all ages. An environment like no other, it requires furniture that’s a cut-above - and that’s precisely what you will gain with Atlantic Shopping. In ten funky colours, there’s a Candy for every style of café- plus, it’s stackable too! 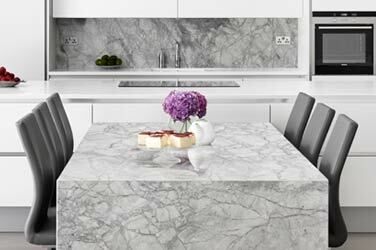 A simple design in three stylish finishes, the Soho is a great contemporary choice. 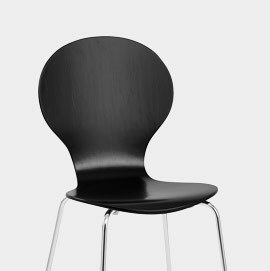 Choose a Clementine chair to lend a modern funky feel to your coffee shop. With a welded frame for extra strength, the Oberon is a sturdy and stylish design.